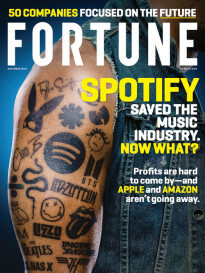 FORTUNE — Want to attract, and keep, top talent? Here’s a suggestion: Make a flexible work schedule part of the deal. A poll this summer of 1,215 U.S. managers and employees across a variety of industries, by EY (formerly Ernst & Young), found that members of Gen Y, aged 18 to 32, rank flexibility among the perks they want most, with 33% saying they wouldn’t work anywhere that didn’t offer it. But it seems Gen X values flextime even more: 38% of people aged 33 to 48 consider it non-negotiable, with men who said so, at 40%, slightly outnumbering women (37%). “Companies first started offering flexible schedules, in the late ‘80s and the ‘90s, as a way to recruit and retain talented women, but it’s gone way beyond that now,” observes Karyn Twaronite, an Ernst & Young LLP partner who came up through the tax side of the business and now holds the title EY Americas Inclusiveness Officer. MORE: Are we ready for the next meltdown? 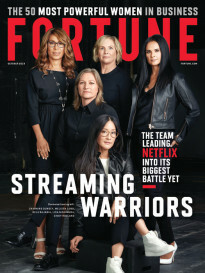 Noting that both men and women, in all age groups, ranked flextime tops among non-cash perks, Twaronite adds, “That result mirrors exactly what we’re seeing here at EY.” The accounting and consulting giant, No. 57 on Fortune’s Best Companies to Work For, has had thousands of employees working flexible schedules for years — including, since 2004, six weeks’ of paid leave for new dads. Dan Black, EY’s Americas director of recruiting, says flexible schedules are “a major advantage in attracting talent, at the entry level right up through the ranks of experienced professionals.” He notes that Millennials’ insistence on not being bound by a 9-to-5 workday “has emboldened older people to talk about the need for flexibility. It’s a big factor in many candidates’ decision to come to work here. Black, whose wife is an attorney, speaks from experience: He has been working flexible hours since he joined EY 20 years ago and took four weeks of paternity leave for each of his two children. He now coaches his son’s soccer team, plays an active role at a couple of nonprofits, and serves as a volunteer firefighter in his hometown of Archville, N.Y.
MORE: American work life: Can’t we do better?